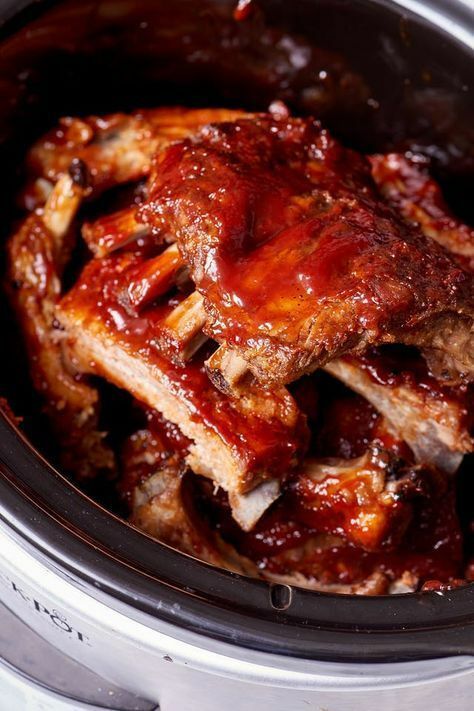 These ribs will be some of the best you've ever had. The ribs will fall apart right out of the slow cooker, so be warned. Just a little prep work required - make the sauce first to pour some over the ribs at beginning of cooking.